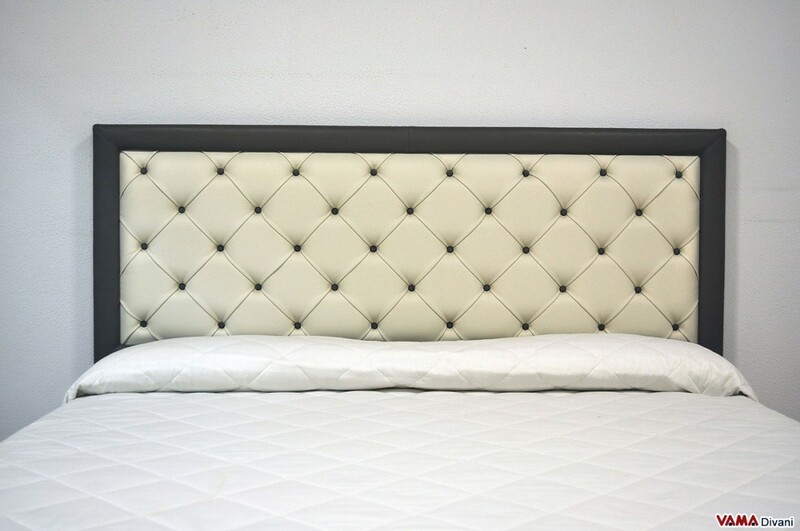 Stylish and contemporary leather bed, better characterised by the large and particular buttoned headboard, realised with squared diamond elements, and by the combination of two different colours. This bold model can be customised in many different ways: in sizes, colours, shapes, and you can even order a custom quilt. 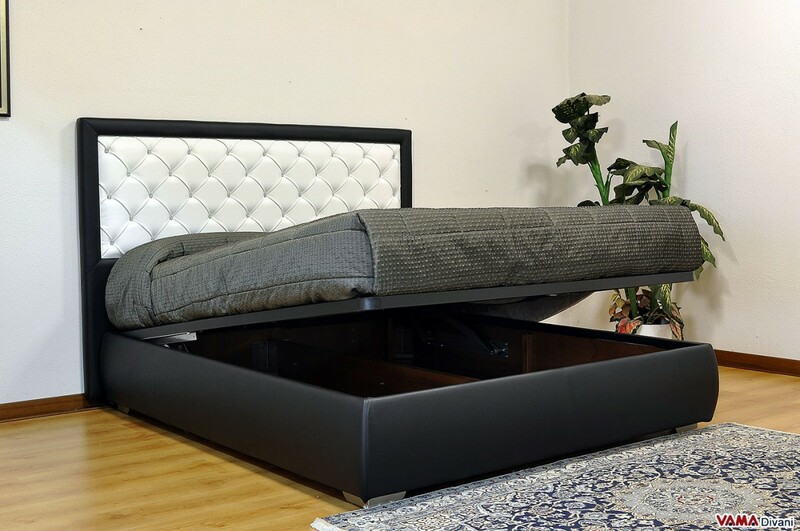 Like all our models, even Carolina can join the family of the Storage double beds, French size beds, Queen size, single and custom ones, just requiring a free quote which meets your needs. Fine and stylish leather bed, Carolina certainly shows its main feature in its large headboard. 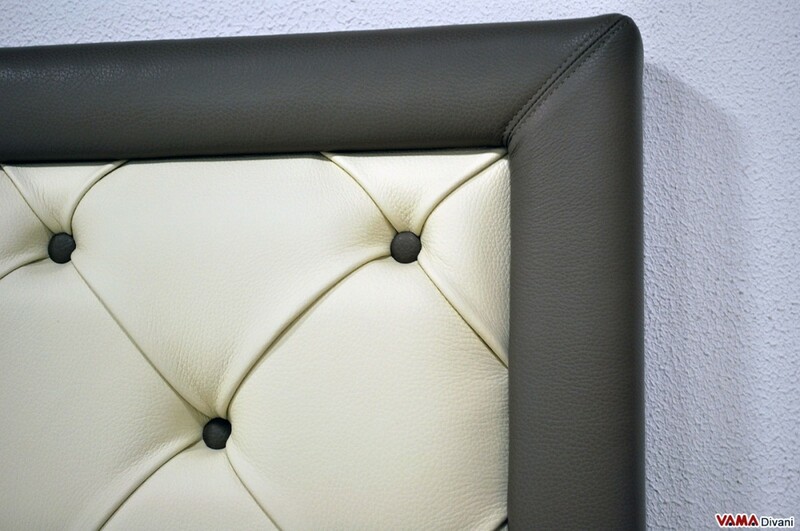 This part of the bed which embraces most of the wall, in fact, is embellished with buttoned details, or better the laborious and typical manufacturing of the Chesterfield sofa, with the difference that in this case the decoration is made with squared diamonds rather than simple diamonds, as to give the bed a more attractive and contemporary look. 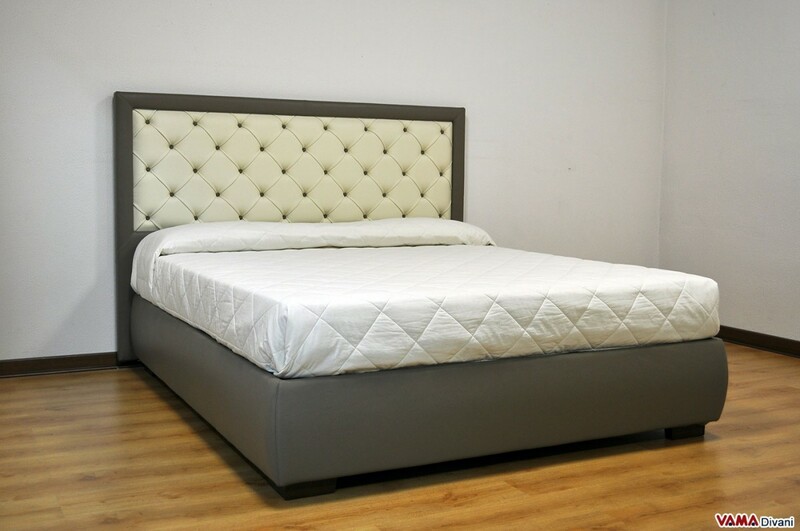 The contrast between colours is another interesting feature of this model, and its buttons recall the same shade of the bed base as well as the frame of the headboard. Carolina can be even realised with storage box, a perfect solution for those who want to save space in their home, and can be customised in shape, size and colours, In addition, you can order a patterned quilt and VAMA Divani will realise it for you so that the bed perfectly meets your expectations. Like all of our beds, even Carolina may be customised in size or you can choose one of the most particular sizes such as the French size bed. If you need a double mattress for this bed, you can even choose and order it in this e-commerce store: in this way, it will be delivered to your home with the bed of your dreams, ready to be used and especially shown off, in all its beauty, in your bedroom.